This weekend, Heather and me, went to Coventry/Warwick/Leamington Spa. 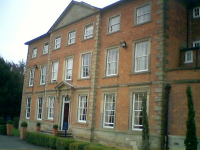 We booked a room at the Ansty Hall Hotel via LastMinute.com. We then wandered around Warwick University, looking at all the new buildings, and then went into Coventry for the evening. 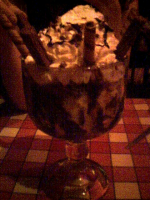 We had dinner at the Old Orleans in the SkyDome, and the chocolate brownie sundae for desert was so big, we couldn’t finish it. With nothing on at the Odeon, we decided to try our luck at the Belgrade Theatre, where we got a two seater box for under £40 to see The Price. It was a wonderful performance, but the second act didn’t hold up to the first. On the Saturday, we wandered around Leamington and Warwick looking at my old house and the shops I used to shop in, and then headed back home.